A log home by Paradise Mountain Log Homes, Inc. is not your typical log home. They are handcrafted with the highest quality of craftsmanship. We pride ourselves with the reputation of quality, service & attention to detail from the beginning stages of the design process & throughout your building process and the positive history to back it up. We deliver and install homes throughout the Northwest, so give us a call to see if there is one in your area for viewing. Our customers are very proud of their log homes and love to show them off. Paradise is a General Contractor also, and has 25 years of experience in the building industry, with over 20 years specializing in Log Homes & Timber Frame construction. 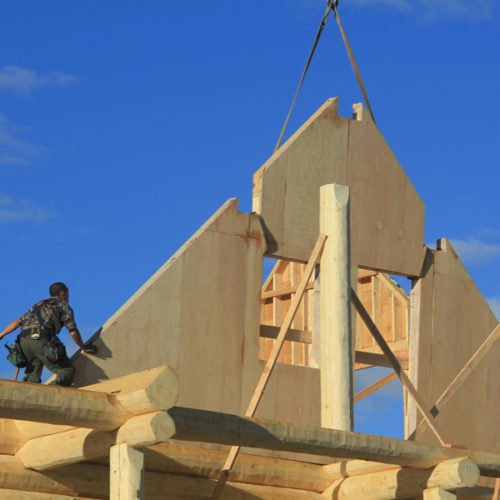 Tom & his experienced building crew have valuable hands-on experience from setting the log packages to finishing the homes to a Turn-Key Package. 1. We pride ourselves in having no negative surprises. Before starting the design process or going to contract with a company, be sure you know what is provided with your log shell. We do lots of re-draw of plans after folks find out what’s not included in their log shell price. 2. Be aware of the low bid, it is a tactic we see over and over because so many things are left out of the total shell package. Time and time again we have clients that have gotten an early estimate from us and from the bigger company that did the drafting of the plans because of their low bid, only for them to find out at that late date what was not included, for example. Insured, licensed & bonded 6-man crew to assist the company’s logsmith for the re-stacking of the log work. Paradise includes the experienced set-up crew, crane and trucking. 3. Set-up costs: Talk to a local contractor, studies have shown these costs typically range from $10.00 to $20.00 per square foot. For example, your typical 2,000 square foot home you could add $20,000.00 for the re-stack. 4. Liability costs: If you hire a log company that won’t or doesn’t stack the log work, will they stand behind it? Once again, studies have shown this is not the case. 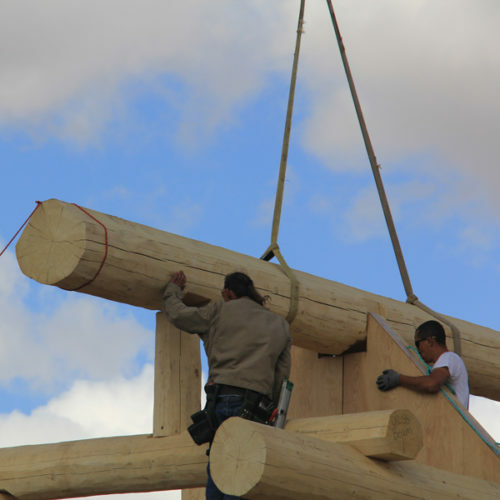 Paradise Mountain is a company that looks forward to making your log home building experience a success. 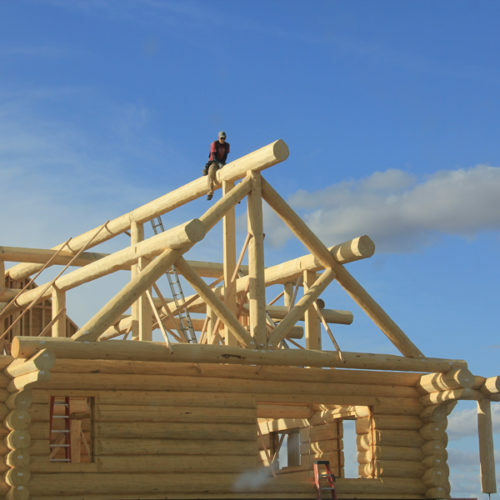 Specializing in Quality and Service with providing the finest Handcrafted Log Masterpieces with the experience of over 1000 Handcrafted Log Homes behind us since 1978 and building a very distinctive Timber Frame that is very affordable.